”This single verse is considered the Bible in a nutshell and is called the“Proto-evangelium,” which means “First Gospel.” Not only is it the first mention of the gospel, but it is also the first prophecy in the Bible. Here are some comments to help clarify its meaning:I (God) will cause enmity (bitter hostility) between you (Satan)and the woman (The line of believers through Christ),and between your offspring (unbelievers)and her offspring (believers). He (Christ) will strike your head (Satan)(Satan was defeated at the cross),and you (Satan) will strike his heel (Christ) (Christ would be nailed to the cross). Genesis 3:15 is addressed to Satan after he deceived Eve. God is cursing him, and in doing so provides a basic framework for understanding the scriptures from that point forward. 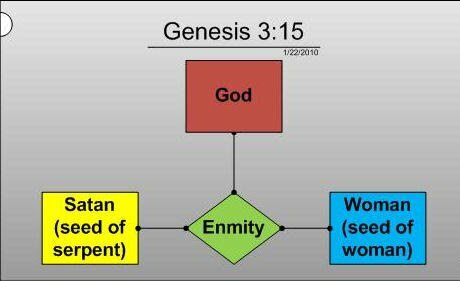 How we understand Genesis 3:15 affects how we understand the rest of the Bible, human history and prophecy. 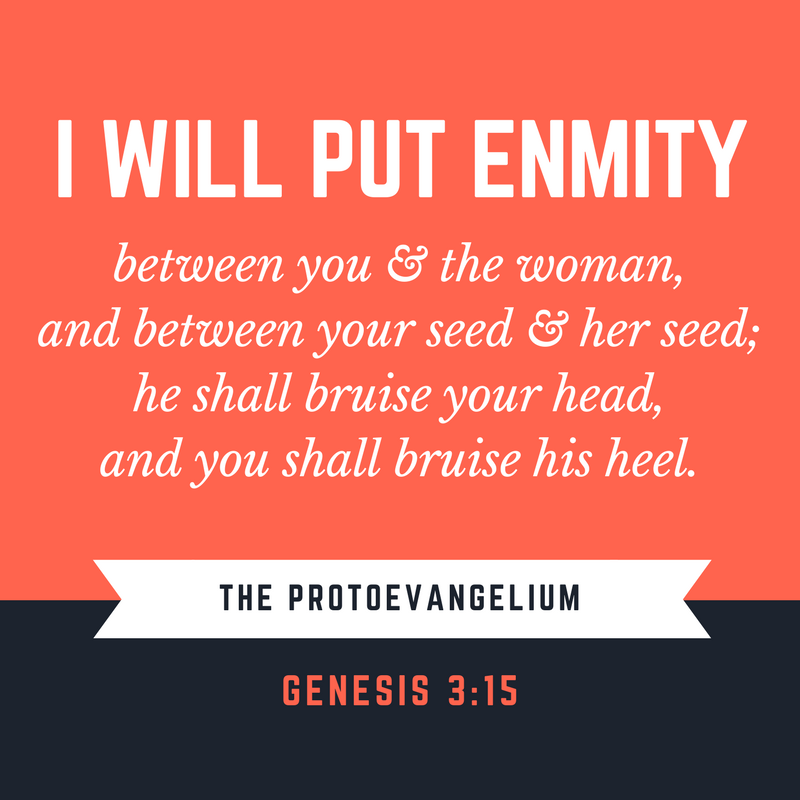 God pronounced enmity between the seed of Satan and the seed of the woman. The woman’s seed is a reference to the Lord Jesus Christ and all those who would believe in Him. Simply put, believers are distasteful to unbelievers because there is built-in resentment. This is why the Apostle Paul could write, “everyone who wants to live a godly life in Christ Jesus will be persecuted” (2 Timothy 2:12). What is important to note is that the enmity between the seeds does not merely arise in our world, it is appointed by God himself. The animosity we experience from unbelievers is sin, but it is also divinely ordained hatred. The results of this enmity, after the fall, shows up almost immediately as Cain murders Abel. We are told he did so because Cain belonged to Satan (1 Jn. 3:12). He was in the line of Satan’s seed. 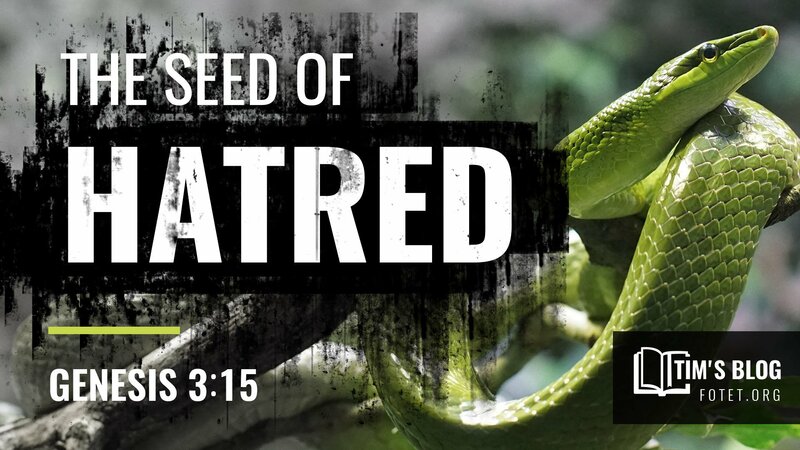 The seed of Satan becomes a seed of hatred which is detailed throughout scripture. The Family line of Cain-Ishmael-Edom-Pharaoh-Amalek-Haman-Herod-Mohammad and Antichrist are all part of the seed of Satan and a fulfillment of Genesis 3:15. 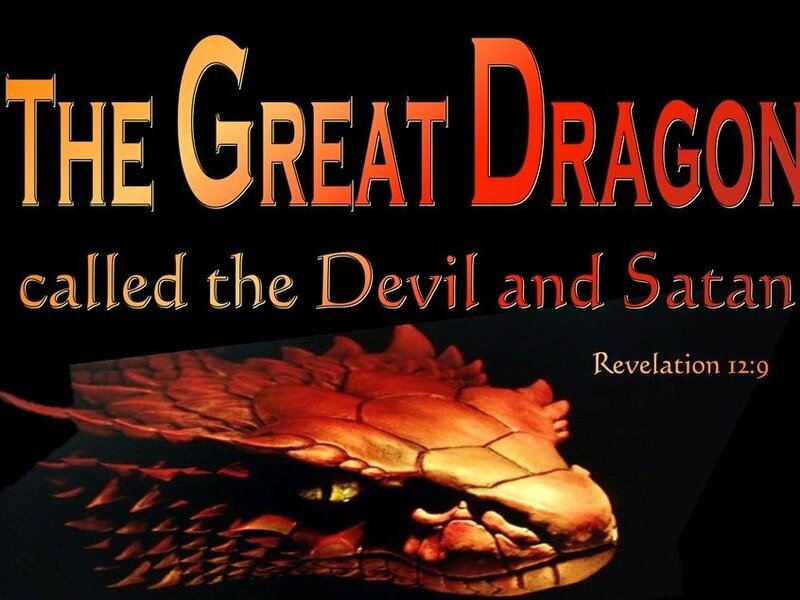 To drive this home, the Apostle John uses the language of Genesis 3:15 to discuss warfare between Satan and Israel all through Revelation 12.The dragon (Satan) wages war on the woman (Israel) in the Tribulation, demonstrating the enmity, “and went off to make war with the rest of her children, who keep the commandments of God and hold to the testimony of Jesus” (Rev. 12:17). Today, Islam is making a resurgence with its Antichrist spirit and is leading the world’s hatred against Israel as God’s prophetic clock winds toward Armageddon.The Palestinian cause is being used by Satan to incite hatred against Israel. And the hatred will boil over soon.There is simply no political solution to the enmity between the seeds, “when they say peace and security, then sudden destruction comes and they will not escape” (1 Thess. 5:3). 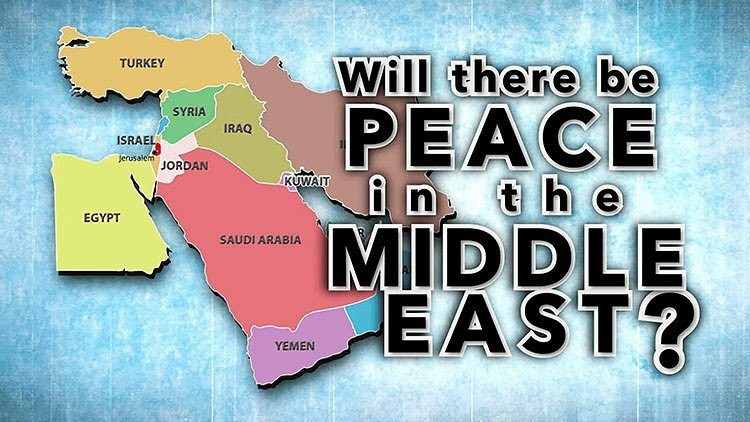 The seed of hatred means there can be no lasting political peace in the Middle East until the Prince of Peace comes. Antichrist will do his best to bring peace (Dan. 8:25), but his 7-year agreement only lasts three and a half years (Dan. 9:26) and gives way to Israel’s worst holocaust. The only way to change the seed curse in our world is for God Himself to reverse it and lift the curse by His sovereign decree. That is exactly what Jesus will do at the start of the Millennial Kingdom. Throughout the 1000 year reign, the curse of Genesis 3:15 will be removed (Isa. 11:6-9). When Jesus returns, He will strip Satan of his authority and secure his defeat (Rev. 20:1-3). In the process, the seed curse and seed of hatred will be lifted. Then, as the Lord promised, Israel will be loved and revered by the nations as the Prince of Peace sits on the Throne of David and reigns from Jerusalem for 1000 years!